How to make a full skeleton. Perfect to hang on the front door for Halloween! 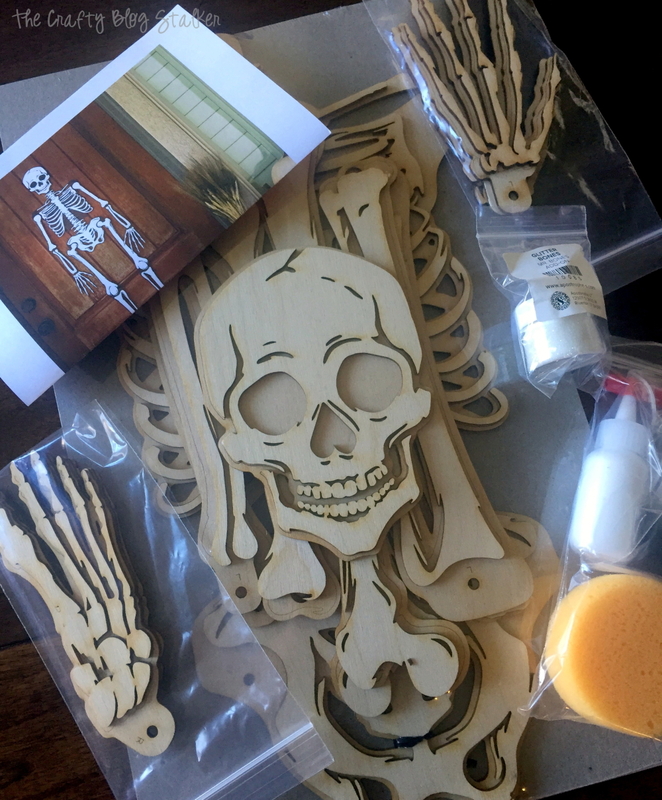 A simple DIY craft tutorial for the Apostrophe S Craft Kit, Mr. Bones. Halloween is probably one of my favorite holidays to decorate for! You can go scary creepy and dark, or light fun and cutesy. I tend to go in the middle but more towards cutesy. I like the skeletons and witches but like to keep it fun. 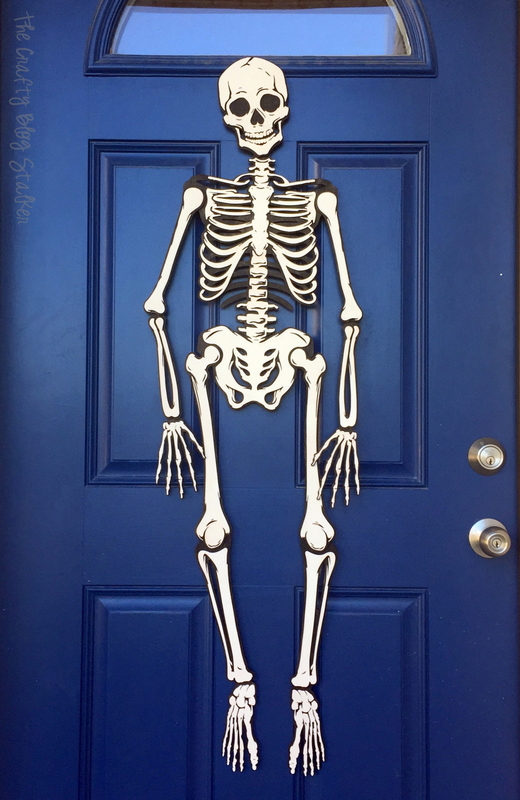 This year I am making a full-size skeleton that will hang on my front door. This guy is known as Mr. Bones and is an Apostrophe S kit which means that everything you need to complete this project is included in the kit! The cost of the Mr.Bones kit is $39 plus S&H. This kit is no longer available. 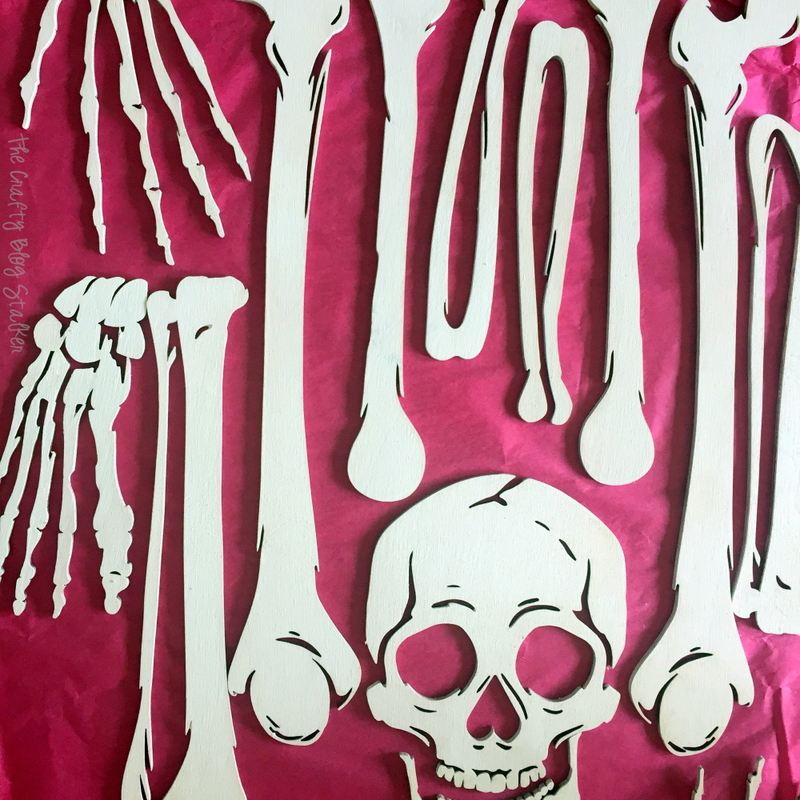 The skeleton comes in two layers of laser cut wood. Background pieces that you paint black and more intricate bone pieces that you paint white. When Mr.Bones is finished he stands about 4 feet tall and the joints can be moved into different positions! Hang him outside on your front door or keep him inside to entertain your guests! He is sure to be a topic of discussion! Mr.Bones can even be taken apart at the end of the season to easily store so he will be safe, secure and ready to come out next year too! How do you like to decorate for Halloween? Share and leave a comment below! 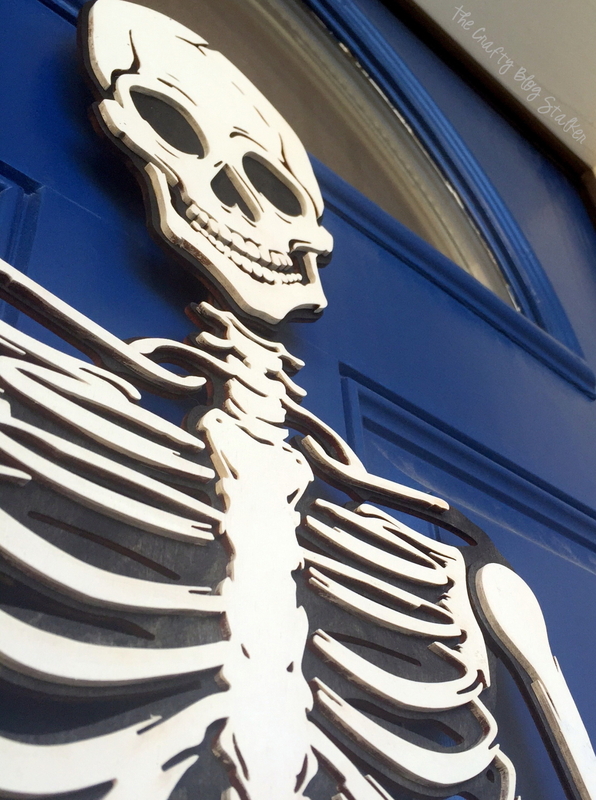 SAVE HOW TO MAKE A SKELETON HALLOWEEN DECORATION FOR THE FRONT DOOR TO YOUR FAVORITE DIY PINTEREST BOARD! awesome DIY! I’m so excited for Halloween! Thank you, Tianna! I love Halloween too! It is one of my favorite holidays to decorate for. This JUST brought back memories of a giant skeleton we had when I was a kid which was only made of thin cardboard but, had move-able joints. I had forgotten all about it until now 🙂 This kit seems really awesome! Thanks for sharing at Funtastic Friday! Oh, how fun Angie!! I love when things remind me of my childhood.